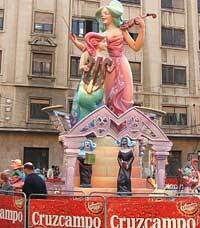 A Falla about different aspects of...beer...somehow. 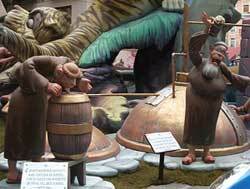 A fragment (ninot) of the falla to the left: randy monks discover beer for the first time. 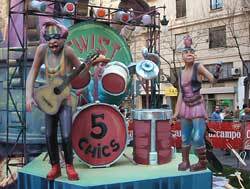 No satire, just a Falla about music, in general. 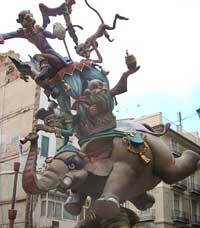 A fragment (ninot) of the falla to the left.